Musings points out how music is capable to make us travel with our mind. It’s incredible how similar the two words are, ‘musing’ and ‘music’. The reason is in the same root, from the Greek ‘mousa’ (Μοῦσα). This etymology makes us realize that music interpretation can free us from excessive thinking and take us on a journey towards the undiscovered lands of imagination. 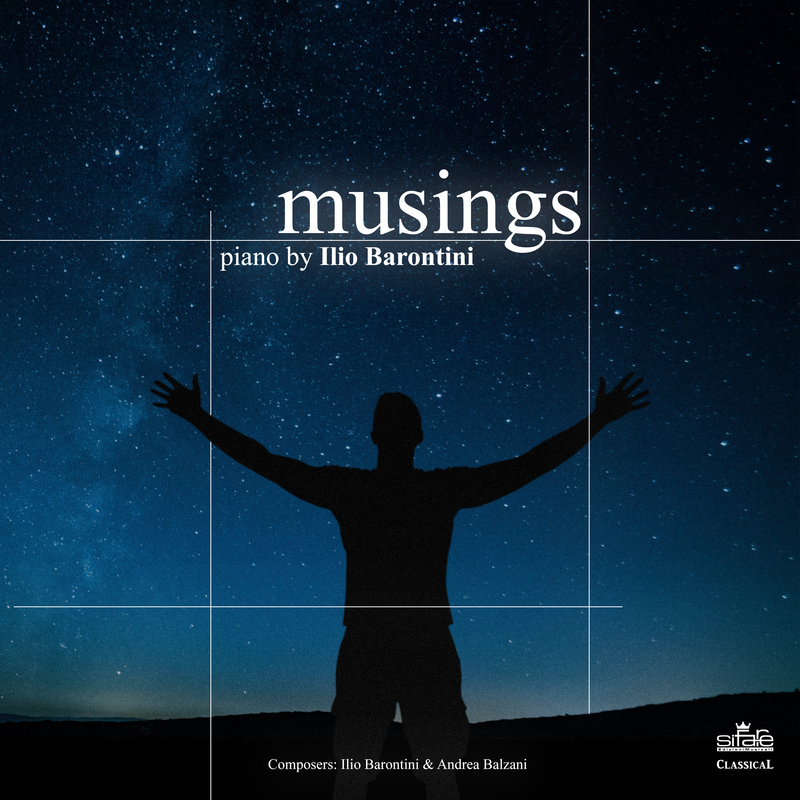 Ilio Barontini offers an original and innovative way of piano playing, characterized by subtle and refined agogics and dynamics, with the aim to help the listener undertake this journey.